There are many insurance companies in the market and who would have the time to scout everything, right? We could only recall the most famous and established ones. But you would ask, what exactly is the best life insurance for me? The best life insurance for you is not necessarily mine. As with most financial planning, it is a case to case basis — a personalized one if I may say. But how can we find the right one unless we know an insurance agent personally? This is where besttermlife.net comes in. This network will provide you answers to your questions without being exclusive to a single insurance company’s life plans. Best Term Life suggests A-, A, A+, and A++ term life insurance companies that are rated by A.M. Best. A.M. Best is a credit rating organization since 1899 with criteria such as financial standing and credit worthiness. As the name suggests, they notify the public of what’s “Best” in the insurance industry, aside from being an abbreviation of Alfred M. Best, the organization’s founder. Now, why A.M. Best and not other credit-ranking organizations? It is because this is the longest running of its kind and it ranks the best life insurance companies not just in the US but in Canada, United Kingdom, and the rest of the world. Its coverage is the largest worldwide. When looking for the best life insurance, you need to be aware that there are two main types of life insurance: one is called term and the other permanent. Term life insurance, as the name implies, covers only a specific “term” or period in your life. It could be 15, 20, 25 or 30 years. It is highly recommended because aside from being affordable, you get the flexibility you want only from a specific time frame. You can choose to have fixed premium or a variable or renewable one. You can also get one even after 70. Permanent insurance is suggested if you will have estate tax liabilities after you die. Permanent insurance comes in three forms: traditional, universal, or variable. Traditional is when the dividend income of your plan can be used to either lower your premium, increase cash value (amount that can be withdrawn), or increase death benefits. Universal is the middle risk type among the three. In place of traditional permanent life insurance’s dividend income, interest just goes back to the plan which allows high or low possible premiums. The riskiest among the three is the Variable. This is when you invest some of your premium in investment vehicles such as mutual funds, money market funds, etc. You would have not have cash value for your plan in this type. Term life insurance is the most appropriate and the most affordable for most individuals and families. After all, if you do proper planning and invest for the future, at some point of time you become self-insured and the need for life insurance is eliminated. 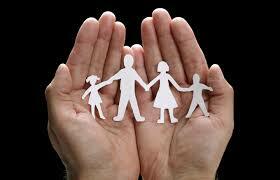 Pick the insurance that provides your family adequate coverage and is most affordable to you. It only takes few minutes to obtain a quote from the top insurance providers using BestTermLife.net.